You know I bought that fern punch because of you and I NEVER use it - LOL Oh this is awesome....what a perfect package - handmade at that - for an Easter present - love it...and love those colors too! So cute! I love how you decorated this box, Kerri! What a beautiful basket....I just love the colors and the papers! And your details are just stunning! 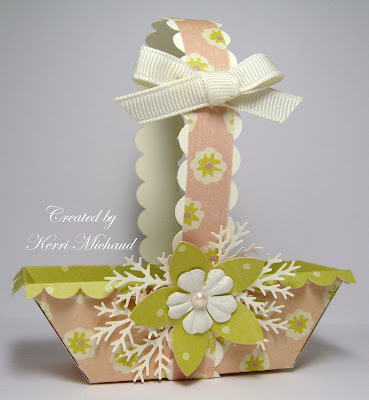 Love the paper you used on your sweet basket and the flower looks super with the fern punch!